Today I had the chance to interview Javier Otaegui via e-mail and discuss various things regarding Horizon Riders, the eshop, and other interesting information, so without further delay here is our interview! Sabarasa: Fine, enjoying the southern summer, thanks! Thank you for taking the time to answer our questions, we really appreciate it! Sabarasa: We really thank you for the opportunity. 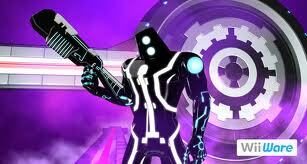 Why was Protocol cancelled for the WiiWare service? 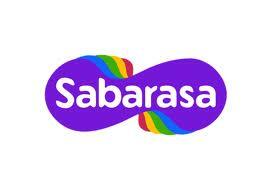 Sabarasa: Protocol is a very ambitious game; actually we could say it is our most ambitious game. Both Horizon Riders and Protocol were actually scheduled for a 2010 release, but due to some big blows we received during that year, we were forced to push them back. Horizon Riders, being a simpler game, was published in 2011. We analyzed the results of Horizon Riders and we took the hard decision of changing platforms for Protocol. It was a really tough decision as Protocol for WiiWare was 85% done, we were working on the matchmaking modules, and this was practically all that was left, apart from debugging and balancing. But publishing the game in 2012 would have been a terrible decision, as the WiiWare market dried up and people were already expecting the Wii U. Can we expect a new game from you for the Nintendo eShop on the 3DS and Wii U? Sabarasa: Yes, we are right now working on many fronts, including the new Protocol and the upcoming release of Save the Turtles for iPad and Android tablets, but 3DS and Wii U are still on our roadmap. 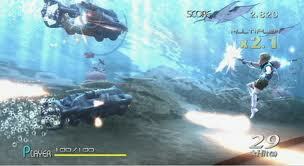 How successful do you feel your WiiWare title Horizon Riders was? Sabarasa: This is a tough one. From an audience point of view, we received very good feedback, people love the game. Also, from a critic point of view, we got some solid reviews. But the sales numbers were not stellar at all. It’s quite discouraging putting so much hard work and heart into a game, seeing good critiques, but bad numbers. I believe we released very late in the WiiWare life cycle. Perhaps if we had released with our original 2010 date, things would have been different. Right now we are exploring the possibility of bringing Horizon Riders to new platforms. Did the patch for Horizon Riders increase sales for the game? During the development process we just did not see the problem, and the original control scheme was very natural for us, but we should have tested the game much more with random people. I think that patching the game was a good decision, even when the sales did not increase, as I think that giving the best possible experience to all those who had originally bought the game was paramount. Was the game Sin and Punishment an inspiration for your game Horizon Riders? Sabarasa: This is a funny story, as pretty much everyone believes Sin and Punishment was the inspiration for Horizon Riders, but it was not our inspiration at all. As a matter of fact, Sin and Punishment was not very popular in Argentina for some reason, so actually –with some shame- I must confess that we did not know the game J. Of course after the initial previews and the obligatory comparison with it, the first thing we did was to look for it and analyze it in depth, but our game was pretty much all laid out already. We are proud of the number of games that we know and played, but sometimes you just have some blind spots. Our main inspiration for Horizon Riders was actually Space Harrier. What are your thoughts about the Wii U and 3DS eshops? Sabarasa: I believe that Nintendo is in the right direction with the eShops. WiiWare and DSiWare were quite bumpy starts, with a lot of space for improvement. And with a lot I literally mean a lot. Some of the eShop news are quite encouraging for indie studios. Nintendo has consistently been one of the most innovative companies in the world, and I’m positive their transition to the 100%-digital world will be successful. The big question is how important the indies will be for their strategy. We look forward to your future titles! Sabarasa: You too! Thanks for the interview! Protocol is not come to Wii U? "I believe that Nintendo is in the right direction with the eShops. " So true. The Wii U eShop does a great job at promoting available and upcoming indie tiles. @ShanaNoShakugan Hi, I'm Sabarasa's Tech Director. Procotol for Wii U is not a cancelled idea, we are checking the possibility to port it to this platform, so don't get disappointed yet! We received a lot of questions regarding the launching of Protocol and we would be really glad to be able to do it soon, but reality says that we can't do it yet, not that we can't do it at all so expect the better! That is great news. Welcome to WiiWareWave LordRyuuza. @LordRyuuza: Welcome to WiiWareWave! Feel free to send us an image file ad and official website url for any future games you will release on Nintendo consoles and we'll advertise them for free. Nice! These types of exclusive features are what this website really needs to hold it's own on the internet and stay afloat. I hope there are many more like this to come. Hi LordRyuuza. I hope this post isn't too late to get a response from you. You talked a little bit about Protocol possibly coming to Wii U, but what I'd like to know is did the game originally support the Wii Remote when it was being developed for WiiWare? 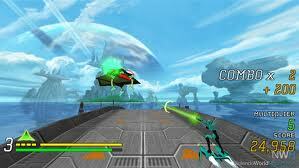 Did it have controls like The Conduit, Metroid Prime 3, and similar games? Thank you, I'll be adding many new articles over the next week including exclusive features, reviews, and news as well as episode 2 of our podcast which airs tomorrow, and next week look forward the NintendoLPerZdude and KingreX32 guest starring in episode 3 of our podcast! Look very fun! Like your interview too. This feature has a bunch of comments! When is the next interview going to happen? @MikeSome: Sorry for the late answer, but I had quite some work to do latelly. I'm not sure really, because I wasn't in the development of Protocol. I was more into the DS/DSi & other mobile hardware development. I'm gonna talk about it with Javier and reply as soon as as got his reply myself. LordRyuuza, could you please also find out if Sabarasa has any intentions to develop for the 3DS eShop as well? Right now we are focusing our resources to develop games for iPhone/iPad/iPod and Android devices. Since it's a new platform for us it's taking a little more time than we expected, but 3DS is on our projects. Our top DSiWare games (Art of Ink, Save The Turtles and Jason's Rohrer games (Alt-Play: Jason Rohrer Antology & Primrose) are all available to be purchased on 3DS (I know because I got them from the shop in my own 3DS ), but true 3DS games (with the 3D effects, the gyroscope feature and so) are in our minds. It will depend mostly on the market & publishers to give us the chance to bring you these games. Thanks for answering our members questions. Good article. WiiWareWave needs more exclusive features like this. Thanks for responding LordRyuuza. I look forward to hearing more about the game. Also, please tell the rest of the people at Sabarasa to release Protocol on the Wii U and to support the Wii Remote. There are a lot of people who will buy it if you do this. The Wii U really needs some shooters that support the Wii Remote, and since you were already developing Protocol for the Wii, I think it will be a perfect fit for the Wii U.